I knew I was in for a treat when my Cousin Jennifer almost came unglued when I told her Cousin Julie gave me this slaw recipe. This broccoli slaw can last for a few days in the fridge, if it lasts that long! ♥ The dressing for this is really good. On the next “go” of this dish I will find a way to double the dressing. 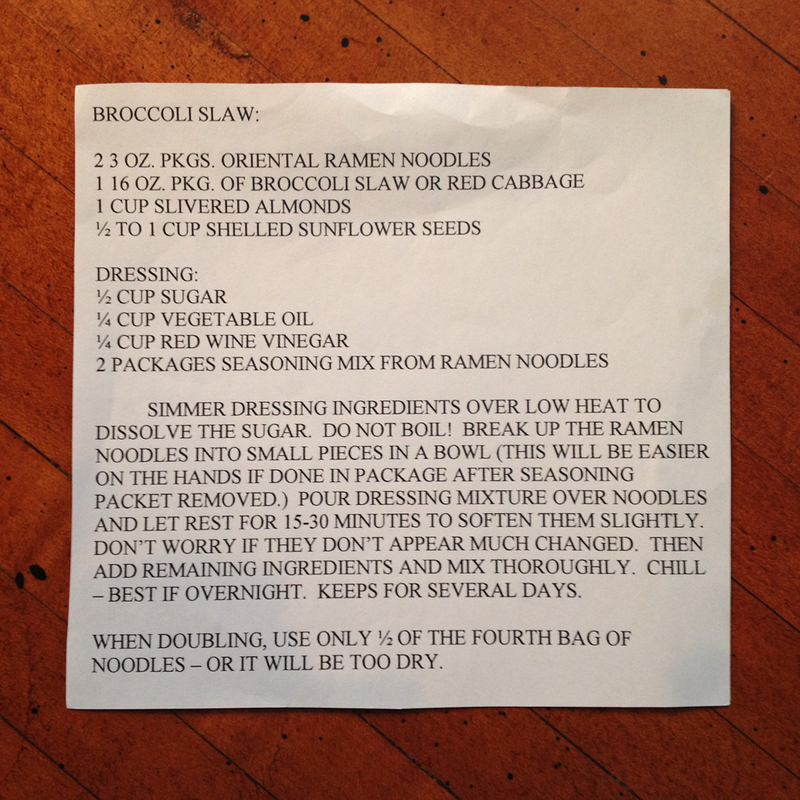 ♥ This slaw is super flexible. You can eat it solo, try it on lettuce wraps or inside spring roll wrappers. 1. Simmer the dressing ingredients over low heat to dissolve the sugar. Do not boil! 2. 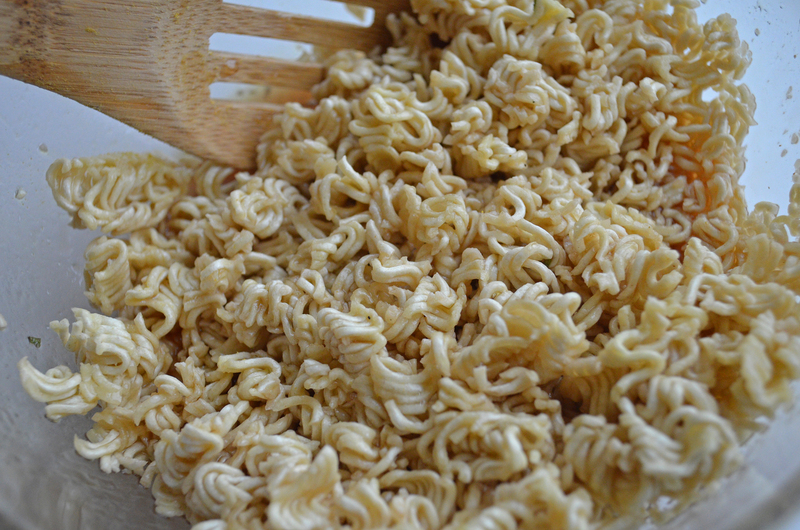 In a mixing bowl break up the ramen noodles into bite-sized pieces. Note: remove the seasoning packet before breaking them inside their package. 3. Pour the dressing over the noodles and let rest for 15-30 minutes to soften them slightly. 4. Add the remaining ingredients and mix thoroughly. Chill. (Best if you chill overnight). 5. Add almonds to the slaw last (it keeps them crunchy) and enjoy your finished creation as a side-kick or main dish.